Kurseong is a small hill station situated in the Darjeeling state of West Bengal. It is at a 30 KMs from Darjeeling. It has a pleasant climate for the entire year. 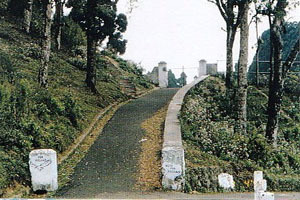 In local language Kurseong is pronounced as “Kharsang”. “Kharsang” means Lands of White Orchids. Definitely it is a very calm and beautiful place for spending days peacefully. But this hill station has a dark side too. It has stories of murders and ghosts. According to local people ghosts resides in the Victoria Boys High School. Whispering, footsteps, eerie sensation spread out from the school even from December to March also, when school remains closed. The Dow Hill forest near the school is an unquestionably tragical place, huge numbers of peoples murdered in the forest. Naturally it makes the forest horrifying. if we study haunted places, we can see the place where numbers of unnatural deaths occurred, that turns haunted by nature. May be its people’s fear or unsatisfied spirits suffering themselves attached or bound to those places. Same is for Kurseong. One most terrible story is the headless boy. The road between Dow Hill Road and the Forest Office is known as death road. On that road some woodcutters on different times reported a blood chilling experience. They saw a young headless boy walking on the road and disappearing into the trees. Every time a strange uncanny feelings will surround you in the forest. People always feel someone follow him in the forest. Some people told us they have seen a red eye on them for a sudden moment while they was passing in the very dark jungle. A woman with grey clothes have been seen many times in the forest, those who tried to follow her lost in overtime in the dark. Sometimes screaming for women come out from this haunted forest, children often become terrified by some evil forces. Many people told that they always being watched and followed on the road and near forest by uninvited spirits. From lots of uncanny feelings some people loosed their control and stayed in trauma stage for a long time. Many of them committed suicide. This entry was posted in Mysteries and tagged haunted, Kurseong, west bengal. Bookmark the permalink.